With the beginning of autumn, the trails of almost every mountain throughout the country are populated, again, by trail athletes who take advantage of the gradual withdrawal of heat in order to resume their training. Or, just as some of them like to say, their disconnection hours. The truth is that there is nothing like getting into direct contact with nature to test your own physic limits and free your mind. Personal growth, solidarity, fair play, respect and passion for the mountain... the values that define this sport are the same that define Laken. 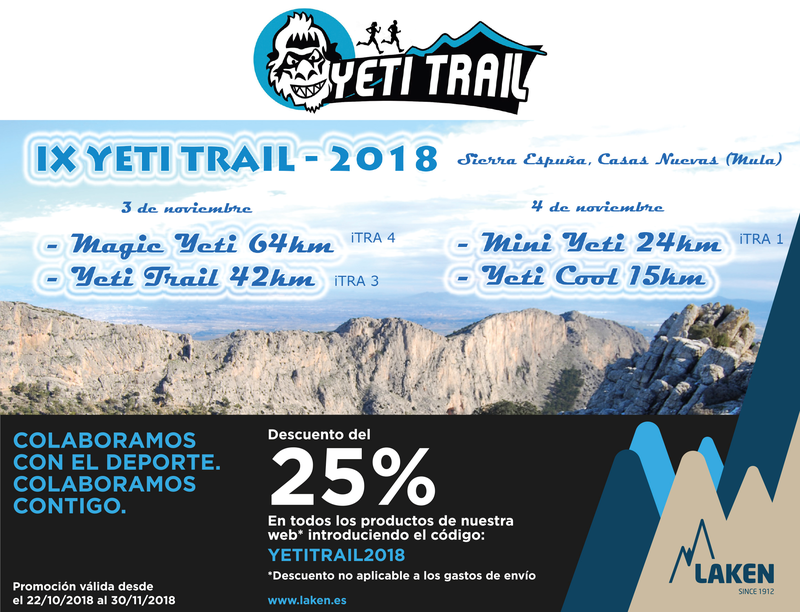 This is the reason why, one more year, it has been a true privilege for us to be part of the Yeti Trail 2018, which has taken place November 3rd and 4th in Sierra Espuña (in our beloved Murcia). The race, that brought to our region the famous snow monster for the ninth year in a row, included 4 races. The difference of distance and intensity of these 4 categories made the Yeti Trail affordable for all level runners. 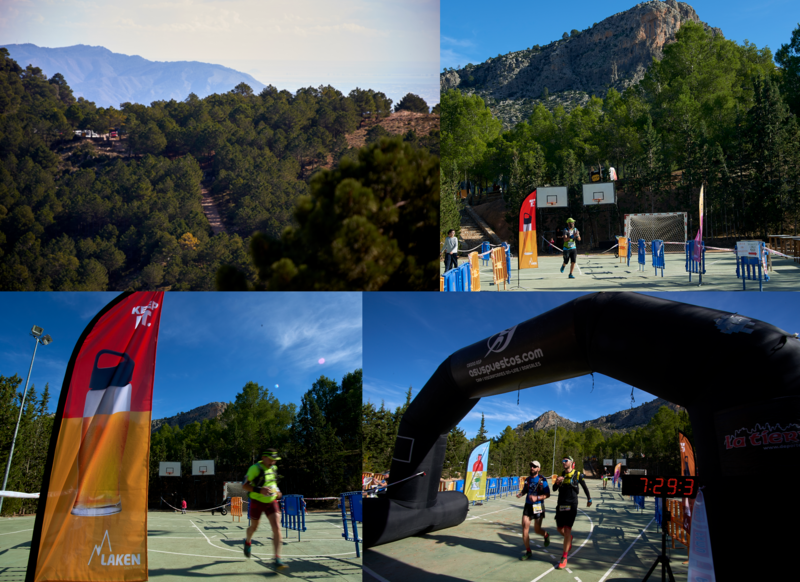 Most advanced runners had the chance to face the Magic Yeti, 64 km of challenge with which runners have been able to win 4 ITRA points. On the other hand, intermediate runners challenged themselves with Yeti Trail (42 km, 3 ITRA points) and Yeti Cool (15 km with less slope and technical requirement). Besides these, during the weekend also The Magic Challenge and the Yeti Challenge took place, including different combinations of the main races and adding to the whole weekend an extra dose of challenge. All trails began and ended at Casas Nuevas, in Mula. From our side, we would like to congratulate all participants. Just being there is a huge success. And, for those who actually got to the podium, our most sincere admiration.